For kids, it's that one super sweet day of the year that they love! 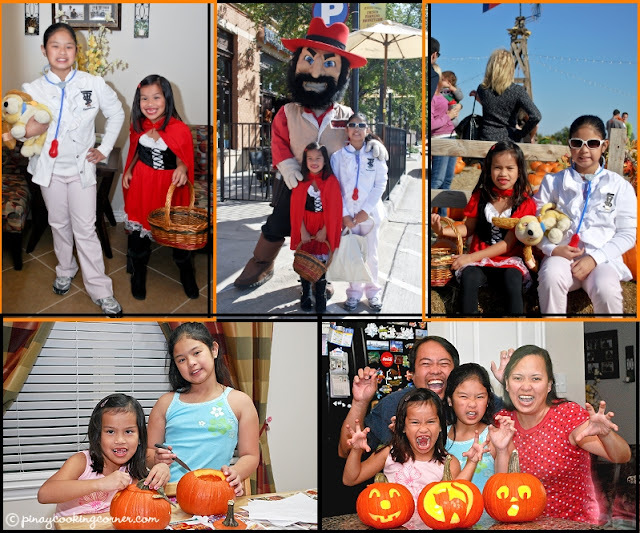 For me and my family, it means bonding time --- doing trick or treating, going to the pumpkin patch and carving pumpkins. We usually visit the pumpkin patch and make jack-o'-lanterns a day or two before Halloween, then on the day itself, Ryan & I go with the girls around the neighborhood for trick or treat. Though Ryan and I didn't grow up with Halloween celebration, we don't want to deprive the girls of Halloween fun. Though there are some limitations to what they can do and what costumes they could wear (no evil or scary costumes for them), we see to it that every Halloween is enjoyable and memorable for them. We let them dress up as someone cute or funny, we let them do trick or treating (as long as they do it with us), and we let them enjoy candies and my homemade sweet treats. Not too much though. Just enough to satisfy their sweet tooth! 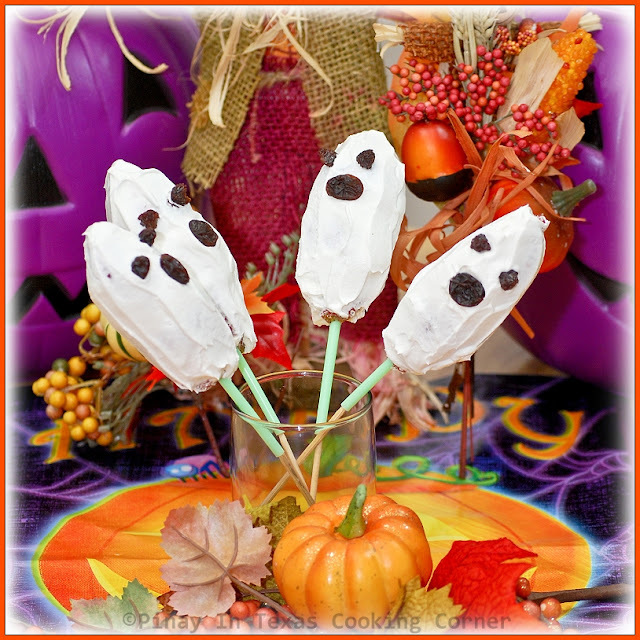 Today, I'm sharing with you two ghostly treats that I made for Halloween, one that I can say is healthy, and another one that is...too sweet! Clarise prefers the healthy one made with strawberries and cool whip...but for Cherlin, the sweeter treat made with marshmallows and white chocolate wins! 1. 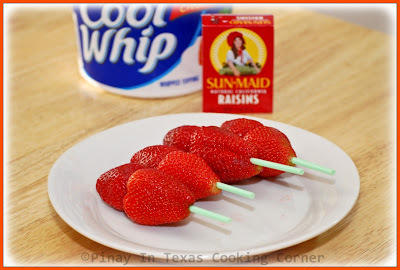 For each ghost, push 2 strawberries onto skewer. 2. 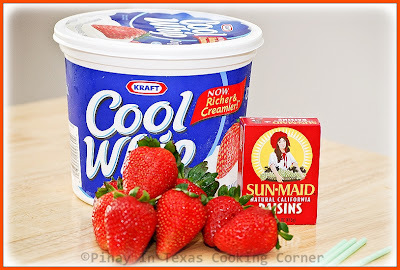 Dip strawberries in cool whip until evenly coated. Let stand on a glass. Use halved raisins for eyes and whole raisins for the mouth. 1. 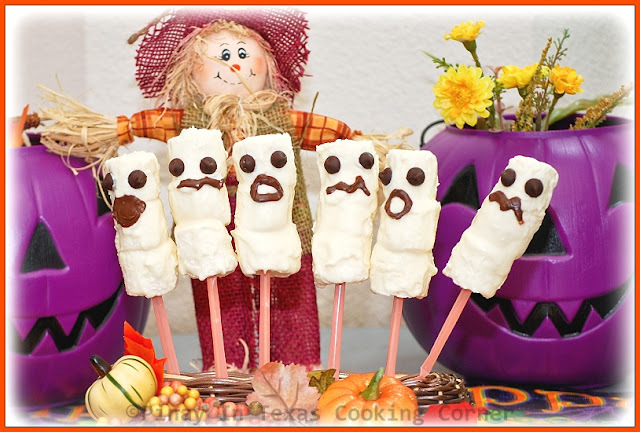 For each ghost, push three marshmallows onto skewer. Set aside. 2. Microwave white chocolate morsels and shortening in a microwave-safe dish on medium-high for 1 minute. Stir. Microwave in 10-second intervals until smooth. 3. 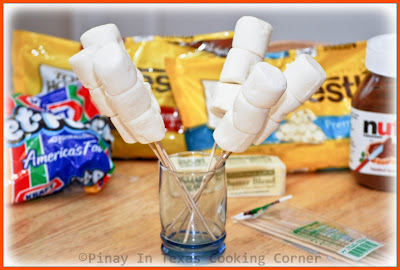 Holding the skewer, spoon the melted mixture over marshmallows until evenly coated. Place on wax-paper-lined plate or let stand on a glass. Use two chocolate morsels for eyes. Put nutella in piping bag and use to r the mouth. You all have a fun and safe HALLOWEEN! Sure must be a special one for your kids though over here its picking up but I am not into it. 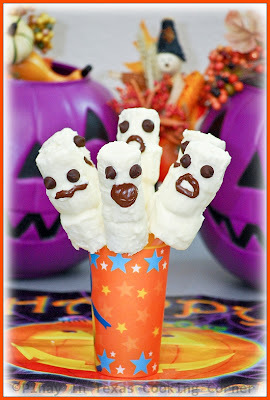 Nice and creative marshmallow ghost and they look cute and tempting rather then scary. They look so cute and special! i am sure your kids loved them just like any kid! Happy Halloween, Tina! Such fun recipe. Bet the kids gonna beg u to make this even after the holiday. Lol! 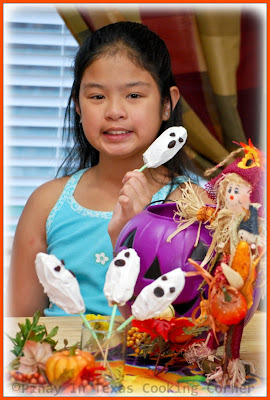 Love the fun in these Halloween treats. Tonight's for the kids and these sweets celebrate the kids! Halloween can be such a fun holiday for the family-the costumes, making treats in the kitchen, running all around the neighborhood together. Kudos to you for taking the time to make sure halloween is a special time for all. Love your treats and I am with Clarise on the the strawberries as the favorite-yum! 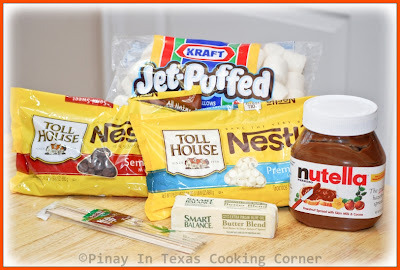 What great ideas for treats that are not over the top in terms of sugar. They are cute and love that the kids can help. Looks like great fun, I am always like Halloween costumes and its spooky sweets. You made perfect. How cute! Clarise and Cherlin look soooooo nice! I had a red riding hood costume for Carnevale when I was a child! :-) Both your ghosts look great... I would have loved the strawberry ones! YUM! Happy Halloween to all of you! How super fun! I love your family photos on top too- it looks like you guys had a great time. Happy Halloween! Oh your girls had really great Halloween! And the treats are so cute! 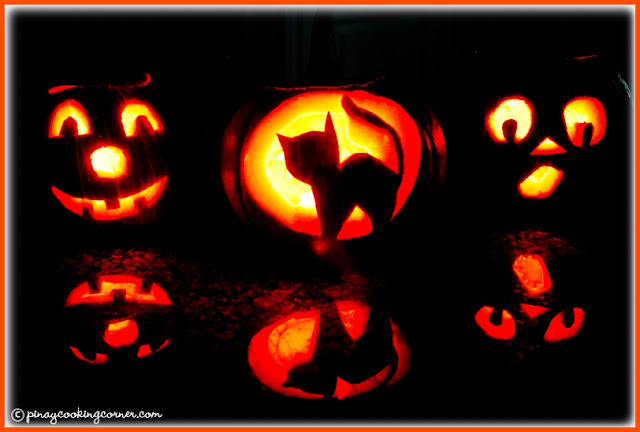 Your family and you seemed to have had a wonderful Halloween time...:D)!! I love the carved pumpkins, they look super adorable! Looks like everyone had lots of fun! I love the idea for the strawberry ghosts...so creative! Looks like you had a really fun Halloween. Adorable pics with the kids!